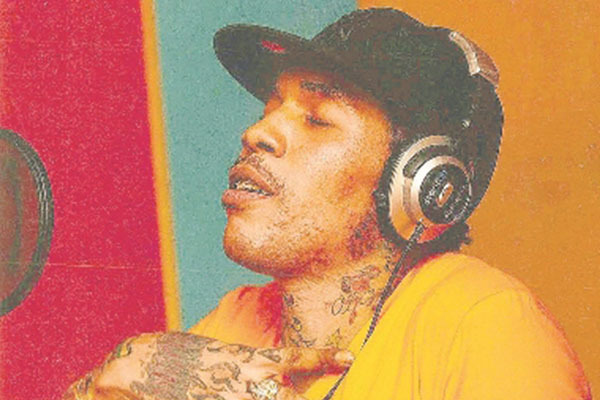 Kingston, Jamaica — After 11,386 votes 73 per cent of respondents in the Observer Online poll feel that entertainer Vybz Kartel should not be allowed to record and release songs while in prison. Kartel , whose real name is Adidja Palmer, was sentenced a week ago along with three co-accused to life imprisonment for the murder of Clive ‘Lizard’ Williams. During the sentencing questions were raised by presiding judge Lennox Campbell regarding the issue of the popular dancehall DJ being allowed to continue producing music while in prison. One of Kartel’s co-accused, Shawn ‘Shawn Storm’ Campbell is also a dancehall DJ. Thirty-eight-year-old Kartel is to serve 35 years before being eligible for parole; Campbell is to serve 25 years before becoming eligible; while the other co-accused Kahira Jones is to serve 25 years before becoming eligible and Andre St John is to serve 30 years before becoming eligible.